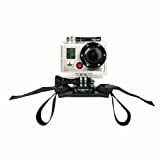 Product Details Size: ABPAK-001 Brand: GoPro Model: ABPAK-001 Dimensions: 3.00" h x 4.50" w x 6.00" l, .64 pounds Features The BacPac includes an additional battery that fits into your current HD HERO camera via a removable back door. It can also be used to re-charge a spare battery by plugging the BacPac into your computer, wall, or car charger. GoPro's battery BacPac is ideal for extended shred sessions or for going after longer lines in the backcountry. 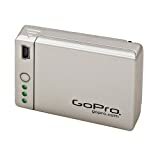 From the Manufacturer The Battery BacPac works as both a charger for your spare HD HERO batteries and plugs into the back of the 1080p HD HERO camera to nearly double record times. Perfect for long duration time-lapse photo sessions, endurance motorsports racing or any application where you need up to 2X the battery life. 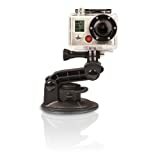 GoPro spared no-expense engineering the HD HERO2. The result is arguably the most versatile, powerful and easy to use camera in the world.